Tired to seeing certain keywords or topics within your Twitter for iOS stream? It looks like Twitter is testing a new ‘muted words’ feature in its iOS app, which can block keywords and hashtags. This is helpful for users who don’t want to see tweets about a certain topic or find out spoilers from live sports and TV shows. Users such as @KendallNKardash tweeted about the feature, which was being tested on Sunday but has since disappeared. To enable ‘muted words’, the feature is available under the Notifications menu within Settings on your iOS device. 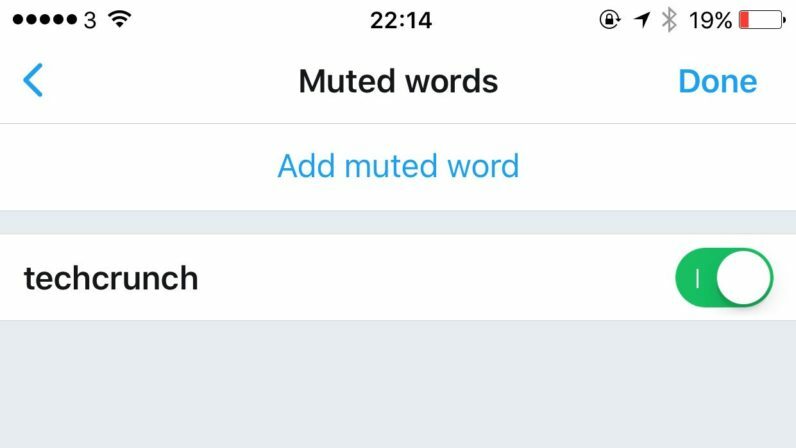 From here, users can create muted words for any keyword, phrase or hashtag. This feature, once implemented, may definitely draw over some Tweetbot for iOS users, as the latter implemented keyword blocking back in 2012.